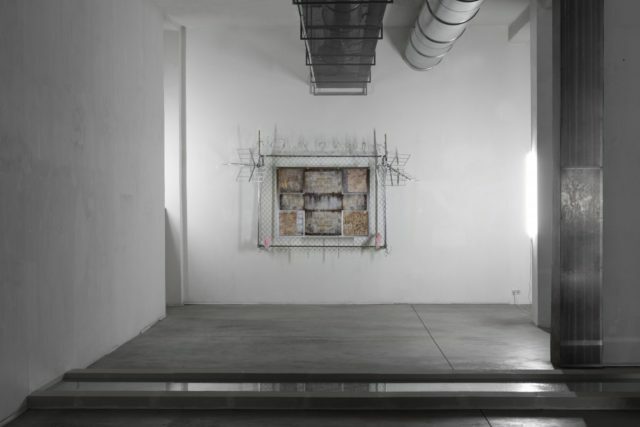 Michele Gabriele and Alessandro Di Pietro presented two-person exhibition Tiziano e Giorgione at Torino’s Treti Galaxie, which ran from September 14 until October 2, 2016. Michele Gabriele + Alessandro Di Pietro’s Tiziano e Giorgione was on at Torino’s Treti Galaxie running from September 14 until October 2, 2016. Header image: Alessandro Di Pietro, Tiziano e Giorgione (2016). Installation view. Photography by Marco Cappelletti. Courtesy of the artist and Treti Galaxie, Torino.